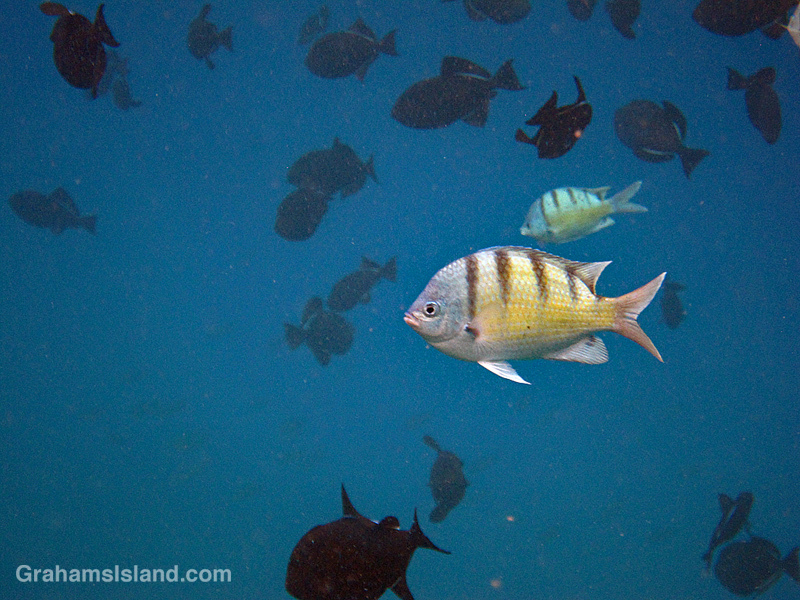 It’s not unusual to see fish feeding while snorkeling, but on this day the numbers doing so, up near the surface, were large. 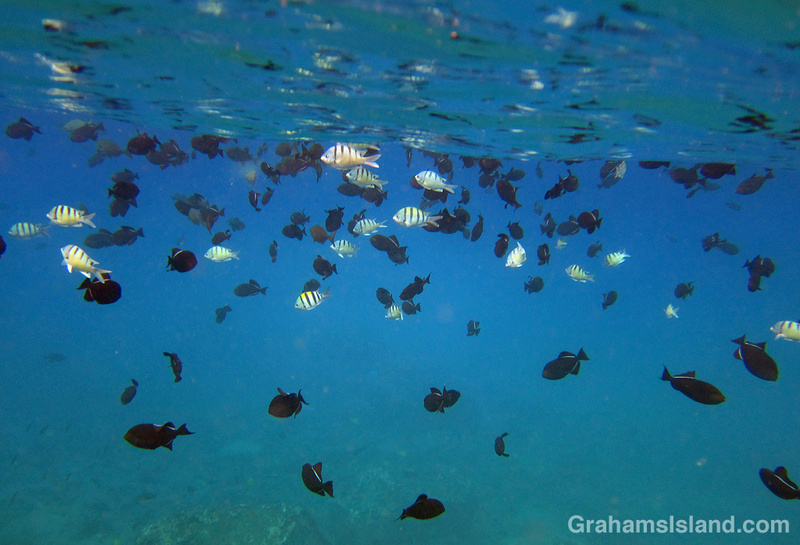 These are mostly Hawaiian sergeants and black triggerfish, with a few indo-pacific sergeants amongst them. By easing myself slowly toward them, they weren’t unduly concerned, parting as I got close and returning as I passed. 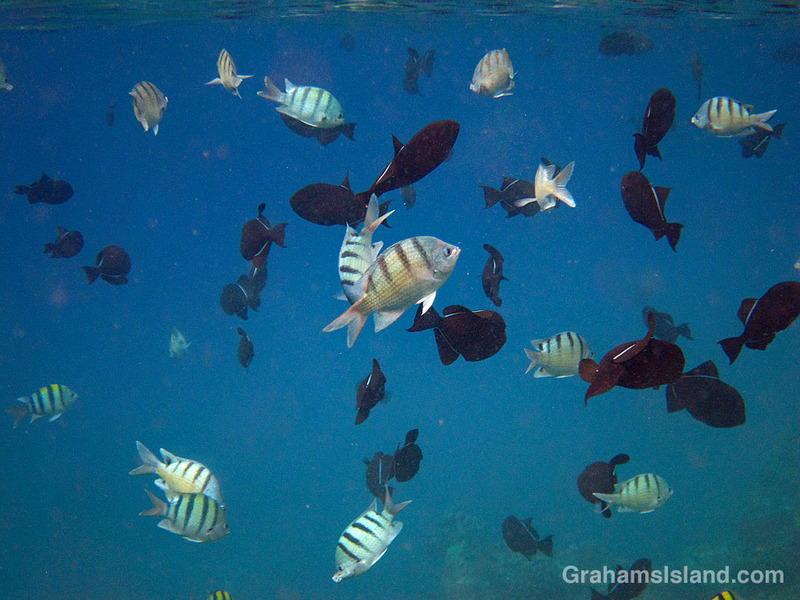 I felt like I was swimming in an aquarium, a quiet environment without the usual noises of everyday life.